Luxury Studio Apartment by Rick Joy in Chelsea, USA | Yellowtrace. 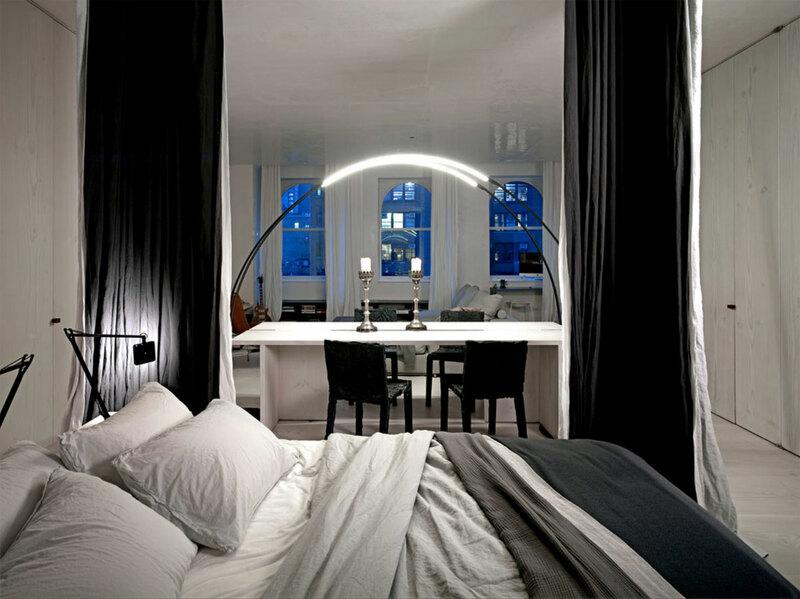 Luxury Studio Apartment by Rick Joy // Chelsea, USA. This studio apartment by architect Rick Joy may not be generous in size, but it is certainly not short of grandeur. What the apartment lacks in volume, it makes up for in lush materials, clever detailing and a staunch commitment to good design. Accustomed to designing homes of a more palatial scale, Rick Joy manages to shift from one end of the scale spectrum to the other with little trouble at all. Rather than feeling compromised, each square metre is given an extra potent dose of design attention. Approached as an inverted house, the inside skin is a “facade” of limewashed fir timber. The generously wide boards clad the face of the joinery and wrap down to the floor with widths and joints matching in perfect alignment. 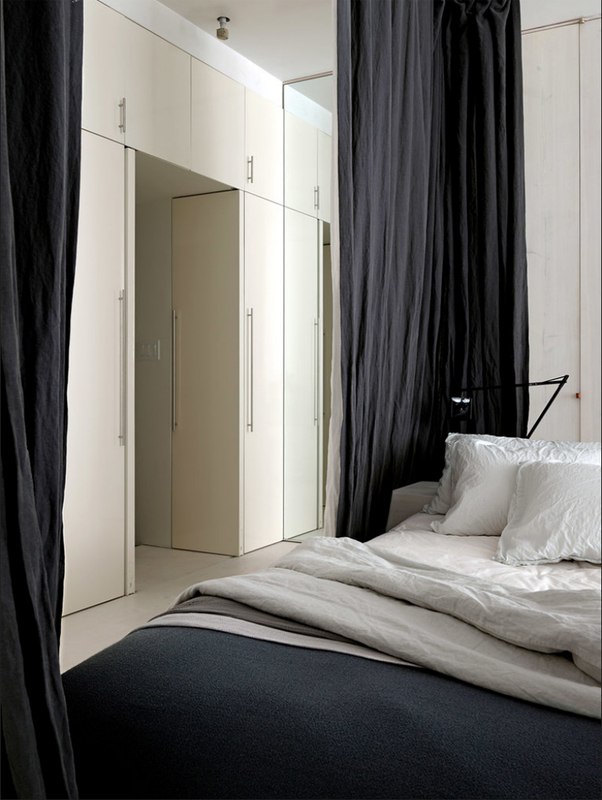 With three walls of joinery, storage is well covered in this compact space. 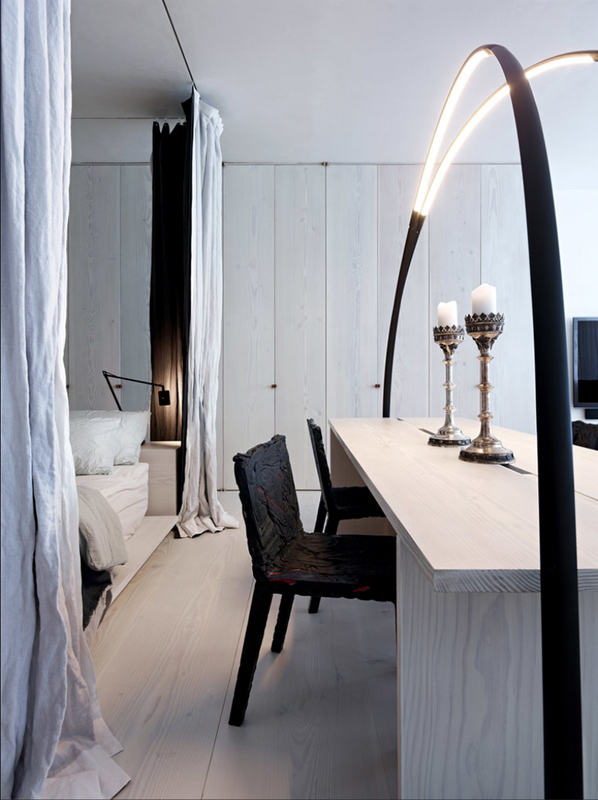 The same timber is used for the bed, dining table and bench. 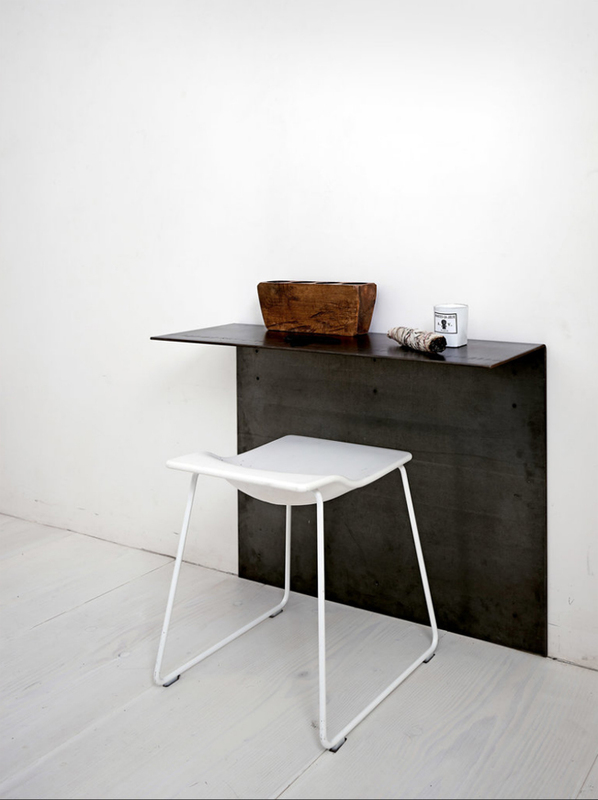 The bench can shift from behind the sofa to the dining table, depending on seating requirements. The client has hosted up to thirty guests in this space. 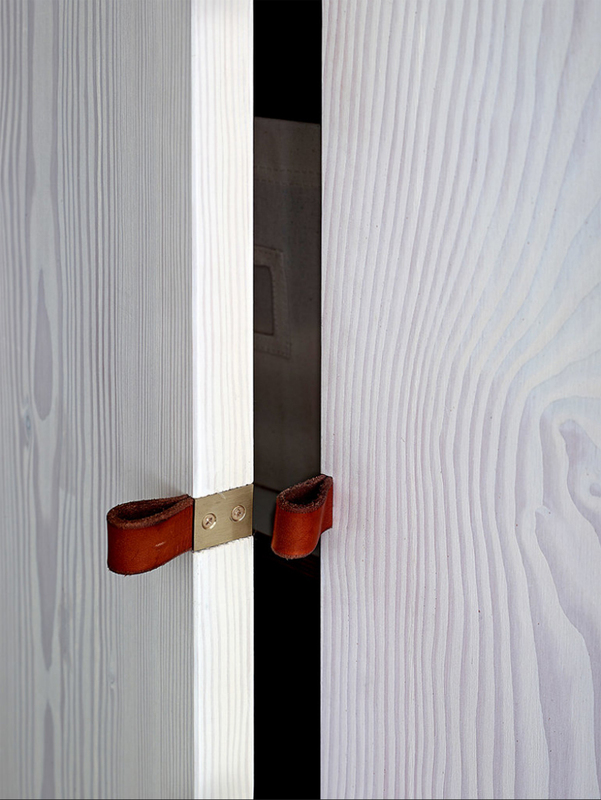 The neatly crafted leather joinery pulls were designed to avoid the old hardware-stabs-the-arm situation down the narrow hall. 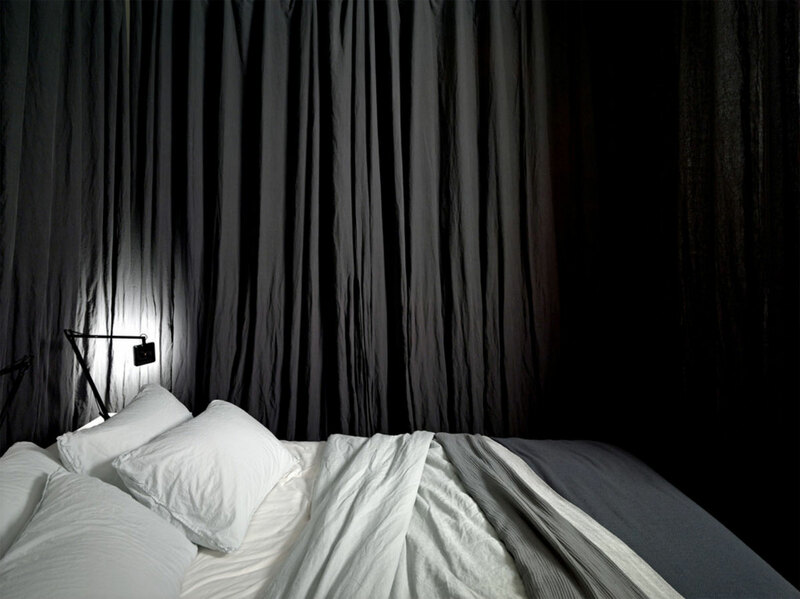 Pools of full linen curtain surround the bed, enclosing the space into a cosy cocoon which can be hidden from view. As an apartment dweller myself and a believer of compact living, seeing a space like this is both intriguing and satisfying. It is an unusual combination; a modest site but a generous budget and a unflinching commitment to quality. 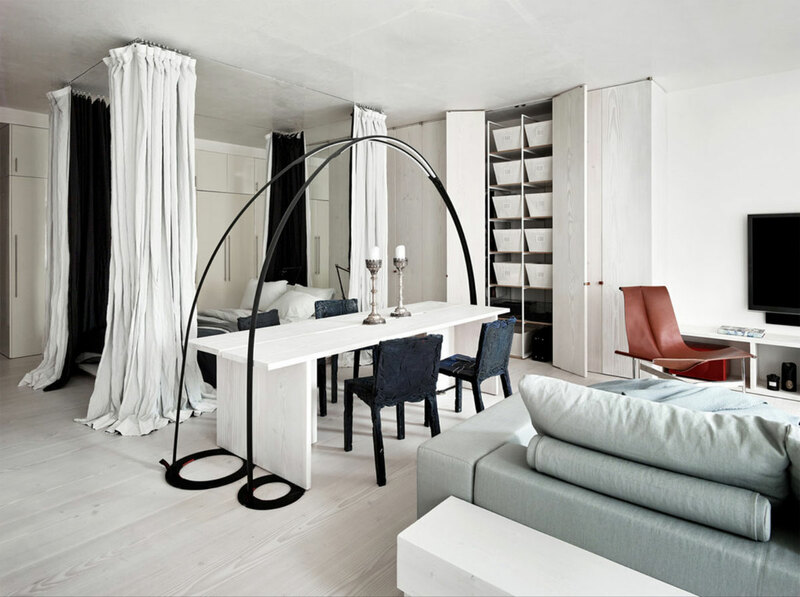 What this apartment proves is that small spaces needn’t be a sad sacrifice. They can be just as compelling and punchy when laden with the right dose of design love. Text by Ella Leoncio for Yellowtrace. MAISON&OBJET Highlights // September 2013. KE-ZU Showroom Installation by Yellowtrace for Sydney Indesign 2013. 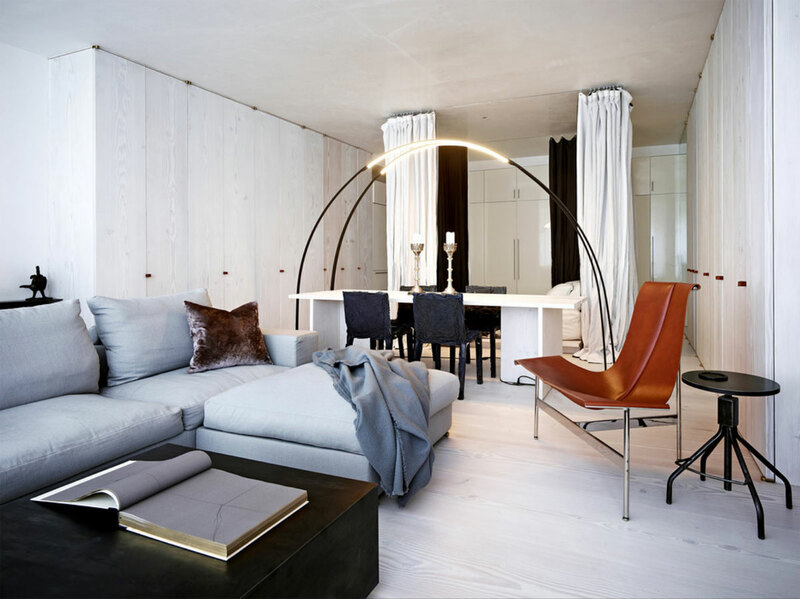 I think square feet of an apartment or any type of houses does not make a lot of difference if you know how to truly design the interior of your house. Where to place the bed, couch, storage cabinets and all the other smaller furniture pieces need to be carefully planned out in order not to create a cluttered feeling around the house.